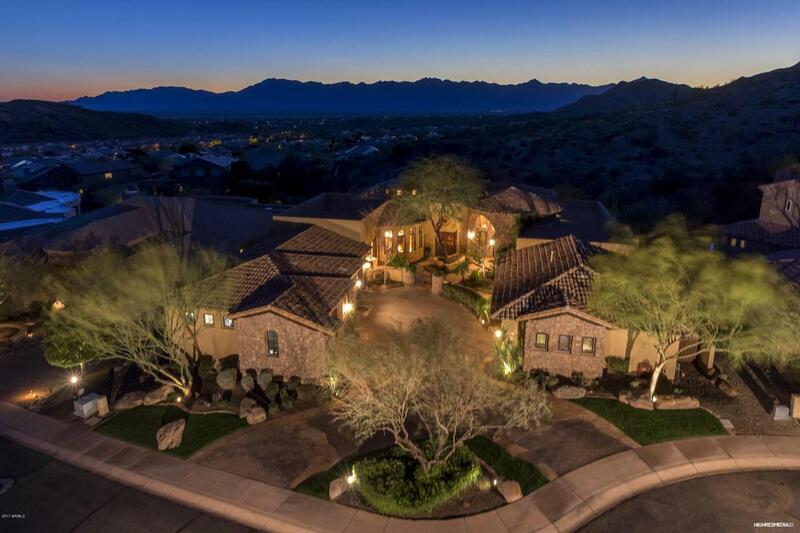 If you're fortunate enough to be in the luxury home market and know what a treasure Ahwatukee is, it's time you experience this home. In a class all its own with its modern-Mediterranean architecture and finishes you'll find the vibe to be timeless yet current. Perhaps the best part of the home, the floor plan; it's both spacious and cozy at the same time. 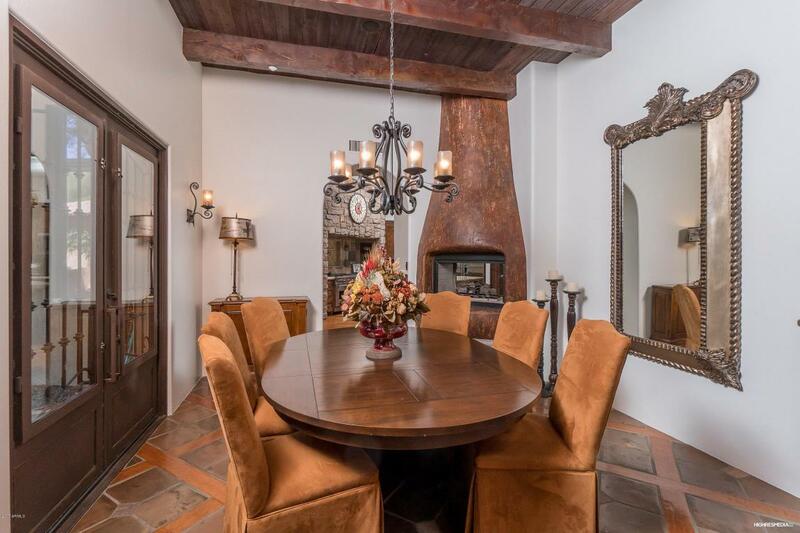 There isn't another home quite like this nestled in the foothills, to own it you will be an original. Lovingly created and built from the ground up by its current owners, it's more like a work of art. The cream-hued walls juxtaposed with the rich color of the overhead beams, solid hickory doors, tongue and groove ceilings, iron fixtures and chocolate Manganese tile add warmth and style. Custom baseboards make a statementcontrasted against the solid hardwood floors and the custom lighting and surround sound set the tone for entertaining. The floor plan lends a warm and inviting feel for smaller family gatherings yet plenty of room to entertain in large numbers if you choose. Sitting in the foothills of one of the most spectacular mountain ranges in Phoenix, THIS is living in the beauty of the desert. Views all around and on a level, half-acre lot of which over 80% of it is utilized. This offers you a backyard and outdoor entertaining experience both kids and adults can appreciate. There's a full sport court, 9' deep diving pool with beach entry and kiddie fountains, a grassy play area, ramada with built in BBQ, elevated sun deck, spa and a cozy outdoor fireplace for our cooler Arizona nights. The front courtyard adds additional outdoor entertaining space that's transformed when strung with white lights, you can host a nice sized gathering without taking a step indoors! Screen your own movies in your home theater with beverage/snack counter to create the ultimate viewing experience. There are two full bars, one up and one down and your downstairs living space has a separate entry and full bath that can serve as an additional guest quarters. Other thoughtful additions include a kid or guest wing, complete with office/study area, chic concrete stained floors and its own laundry room. A second laundry is tucked into the expansive master bedroom closet and the craft room off the kitchen is plumbed for laundry as well. Each room has its own walk in closet and private bath (one jack jill) and you'll love all the storage both inside and out. The four-car garage is set up with three attached to the home (so expansive they feel more like a four car) plus the additional single car garage, plenty of room for the car enthusiast or multi drivers in your family. Other useful details include under eave electrical for your holiday or accent lighting, French drains, central vacuum system, Kohler veggie and pasta sink at the kitchen island, large walk in pantry, 4-burner Wolfe gas stove with pot filler, warming drawer and appliance 'garage' that keeps your counters tidy yet your small appliances handy. It sits in the A+ Kyrene/Tempe Union School Districts, known for their strong academics and athletics. Please see the additional documents tab for an extensive list of all this home has to offer. 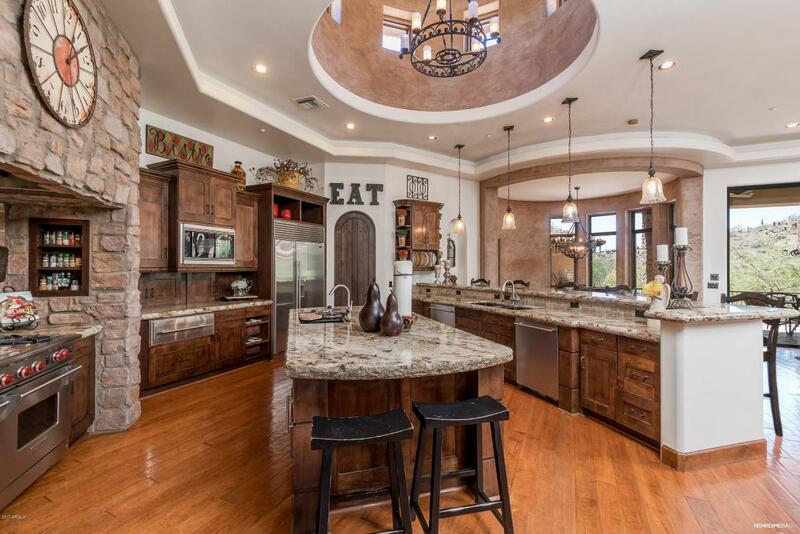 If your heart is set on a truly one-of-kind luxury home look no further, you've found it! 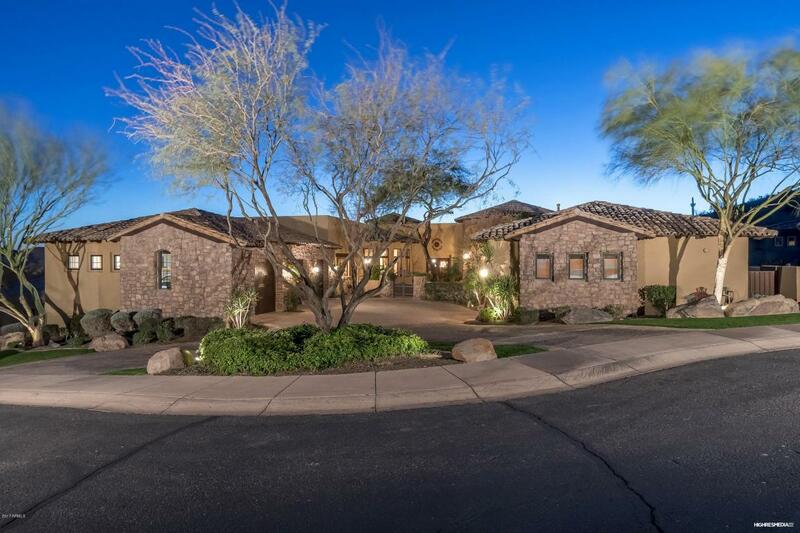 Listing courtesy of Tukee Homes Realty Llc.